President Obama’s push to close the Guantanamo Bay detention facility may be forcing the Department of Defense to release suspected terrorists newly captured by U.S. forces overseas, according to a Republican lawmaker and former Marine. Rep. Duncan Hunter (R., Calif.) recently penned a letter to Defense Secretary Ash Carter expressing concern that Obama’s refusal to send new terrorist suspects to Guantanamo Bay is allowing them to return to the battlefield to fight U.S. forces and resume acts of terrorism. "Given the clear position of Congress on the proposed closure of Guantanamo Bay and the prohibition on detainee transfers to domestic facilities, I am concerned that the Department of Defense is being forced to relinquish control of dangerous individuals captured by U.S. forces due to the president’s refusal to utilize Guantanamo Bay for new detention cases," Hunter wrote to Carter on January 28. "And once in foreign custody, an individual’s release can occur despite the best efforts of the U.S. to keep that individual in custody," Hunter continued. "An already high-rate of recidivism adds to the probability that some individuals will subsequently reengage U.S. forces on the battlefield or resume terrorist activity. This puts American lives at risk." Obama, who promised to shut down Guantanamo Bay when he took office, has blocked captured terrorist suspects from being sent to the military prison. This, coupled with the United States’ closure of the detention facility near the Bagram Air Base in Afghanistan at the end of 2014, raises questions about the Pentagon’s ability to detain suspected terrorists captured under the Authorization for Use of Military Force, Hunter wrote. Under the Obama administration, these terrorist suspects are typically transferred to foreign custody. Hunter’s letter comes at a time of increased U.S. military presence abroad to combat terrorism. The Pentagon has sent limited numbers of special operations forces to both Iraq and Syria to assist groups fighting ISIS. These forces are engaging in some activities, such as conducting raids, which can result in the detention of terrorists. Legal experts have worried about what the Pentagon will do with suspected terrorists captured by special operations forces operating against ISIS and its affiliates. Phillip Carter, who served as Obama’s deputy assistant defense secretary for detainee policy, told the Associated Press recently that the administration’s current policy may need to change. "If you’re going to be doing counterterrorism operations that bring in detainees, you have to think through what you are going to do with them," Carter said. "If the U.S. is going to conduct large-scale combat operations or large-scale special ops and bring in more detainees, it needs a different solution." The president accelerated his effort to close Guantanamo at the start of the year, reducing the detention center’s population to around 90 by releasing several detainees to their home countries. Among the group of released prisoners was an admitted member of al Qaeda who helped develop explosives for the terrorist group to target U.S. military forces and civilians. Prisoners released from Guantanamo have resumed terrorist activities in the past. Ibrahim al-Qosi, Obama bin Laden’s former cook who was transferred from Guantanamo to his native Sudan in 2012, recently appeared in a jihadist propaganda video as a senior leader of al Qaeda’s branch in Yemen. 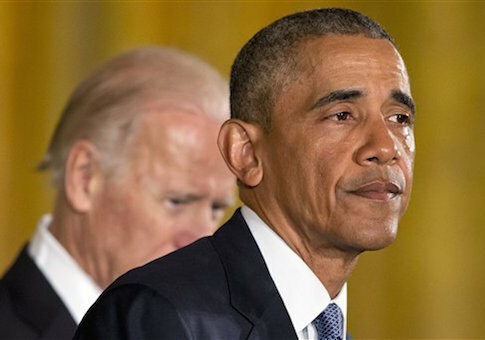 In the face of Republican opposition to his efforts, Obama has threatened to use executive action to move forward with his plan to close the facility, which would involve sending Guantanamo detainees to prisons in the United States. However, current law bars the military from transferring terrorist suspects held at the prison to U.S. facilities, which is bound to complicate the president’s efforts. In his letter to Carter, Hunter asked the Pentagon chief to clarify current policy regarding the detainment of individuals in military operations. The lawmaker also asked Carter to specify any circumstances under which U.S. forces would be required to release a captured individual, as well as what measures the Pentagon has in place to "account for" captured individuals transferred to foreign nations. Joe Kasper, Hunter’s chief of staff, told the Free Beacon that Obama’s detainee policy can only lead the American public to assume that "many of the people our operators pick up are turned over and released, in some cases immediately." "The administration’s detainee policy, which revolves arounds the president’s commitment to close Guantanamo, is almost guaranteeing that some of America’s enemies won’t ever face justice or even the threat of detainment," Kasper said. This entry was posted in National Security and tagged Al Qaeda, Barack Obama, Duncan Hunter, Guantanamo. Bookmark the permalink.